The 49th Nordic Lung Congress will be held at the Creative Hub (Kultuurikatel; Address: Põhja pst 27a, Tallinn 10415, Estonia). The Creative Hub is a creative centre and a place for cultural events in the heart of Tallinn. Its doors are open to all visitors, and it is the venue for various workshops, seminars, conferences, festivals, exhibitions and much more. It is situated near the city centre and it houses 5 conference rooms and 2 foyers on 3 levels. View the venue on the map here. Restaurant family tries to be as normal and down to earth as possible, sometimes it seems that it might be a bigger challenge than making gourmet food, as all three of the locals (2 chefs and 1 housetess) have city backgrounds and simple products demand much more attention to be able to shine. Simple, honest, sincere, respectful, local, sustainable, Nordic – these are their food mantras that they want to convey to customers on the plates at the hidden corner of wooden Kalamaja suburb. This restaurant is in the limestone building which used to be the power station’s boiler room and was completed in 1934. The brick chimney was erected in 1948 and was the tallest in the Baltic States at the time, rising to a height of 102.5 metres. The historical ambience of Kultuurikatel makes it a cozy but at the same time a modern environment to meet up with your friends and family and enjoy our Italian menu and a wide variety of cocktails. Coming by car, remember that parking fees apply 24/7 in the Old Town. Visitors to the Creative Hub can park in the car parks surrounding Linnahall for a fee. 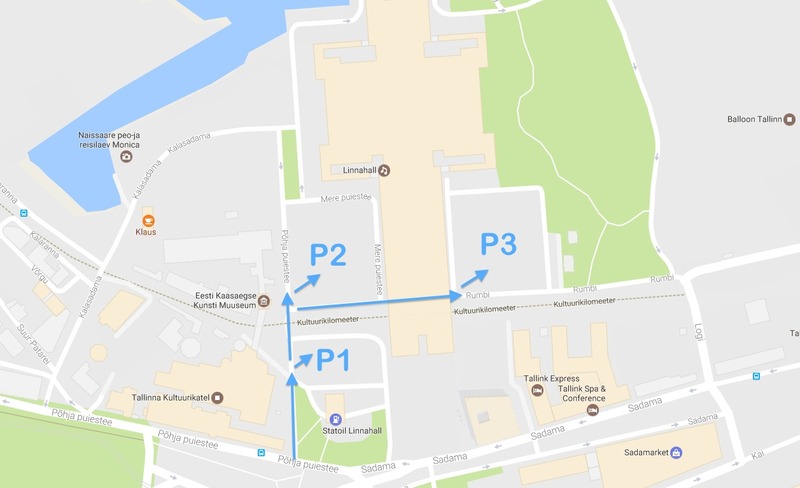 The P1 unmonitored car park is located in the City Centre zone, where the conditions and fees decreed by the City of Tallinn apply. Parking fees apply from 7:00–19:00 Monday-Friday and 8:00–15:00 on Saturdays. Parking is free on Sundays and at other times. Find out more here. The P2 car park only allows parking with a written permit issued by the Creative Hub, on the basis of a parking card. The fees and conditions of the P3 car park have been decreed by the proprietor.